Future Race Game on Amazon Kindle for mobile and desktop reader! Future Race Game on iBooks for iPad and iBooks for your desktop reader! 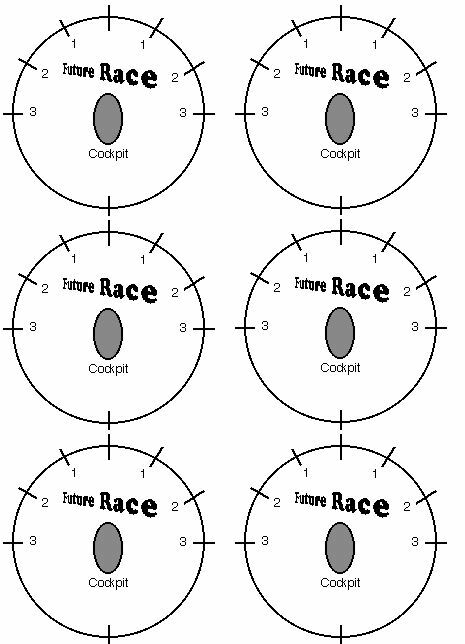 Download the Future Race Basic Vehicle Template, Future Race Turn Template and Magic Carpet Races Rules variants and template here. Contact the author by email to get a copy of the rules by email in PDF format $8 via paypal! Right-click (Macs Control-click) and select save the image to download and print the turn template.